Currently we are working on claymation videos. 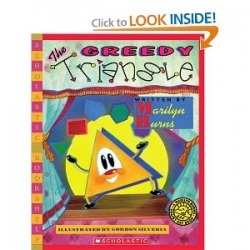 Teachers read a book to students on a math concept. 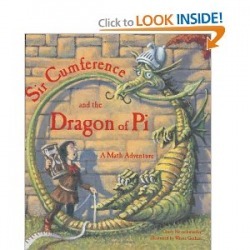 Two books that we used were Sir Cumference and the Dragons of Pi and The Greedy Triangle. Next, the teacher showed a youtube video of a claymation story. (See resource list below.) Then the teacher modeled her version of the story. Students were placed in groups of four or five. They worked as a team to brainstorm their own version of the story and to write a script. On day two, students were told to divide the script into segments. Each segment was given to individual members of the student groups. Students used a storyboard to illustrate the pictures that would need taken to represent their segment of the story. They also made notes to help them remember how the clay figures would be standing or moving in each frame. Job 2: Make the background using a shoebox or posterboard and construction paper. On day four students set up the backdrops and took all of the pictures for the video. One tip here is to make sure that the digital cameras were mounted on small tripods. The students had to learn that the camera never moves only the clay figures. The following day students imported their pictures and sound into imovie; then started creating their movies. The final day was spent watching the videos created by the class. It was reasonable for the class to view all of the movies since they were short and their were only five videos created in all. The following video tells the teacher how to create a claymation video from preproduction to postproduction. Theses two videos were shown to the students as examples of claymation movies. During the first video, the background and movement was pointed out to the students. The second one has better examples of sound and movement. On the following weblinks you will find many more resources on the subject of claymation in the classroom.